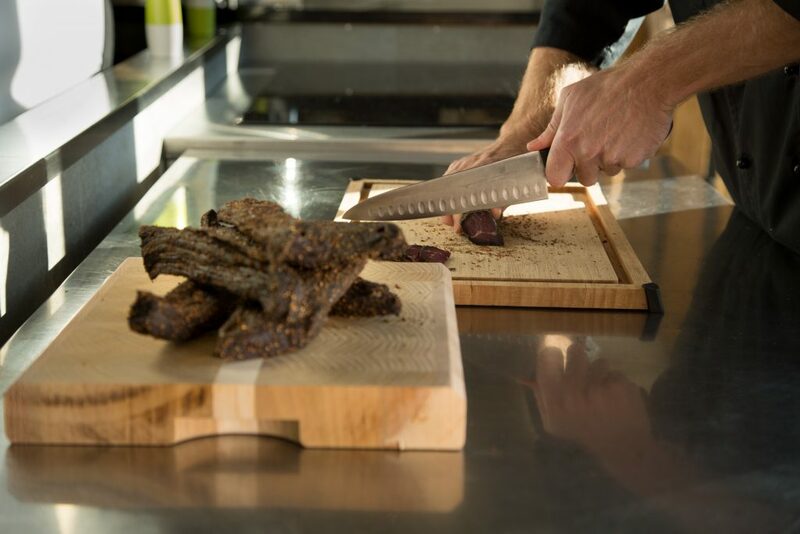 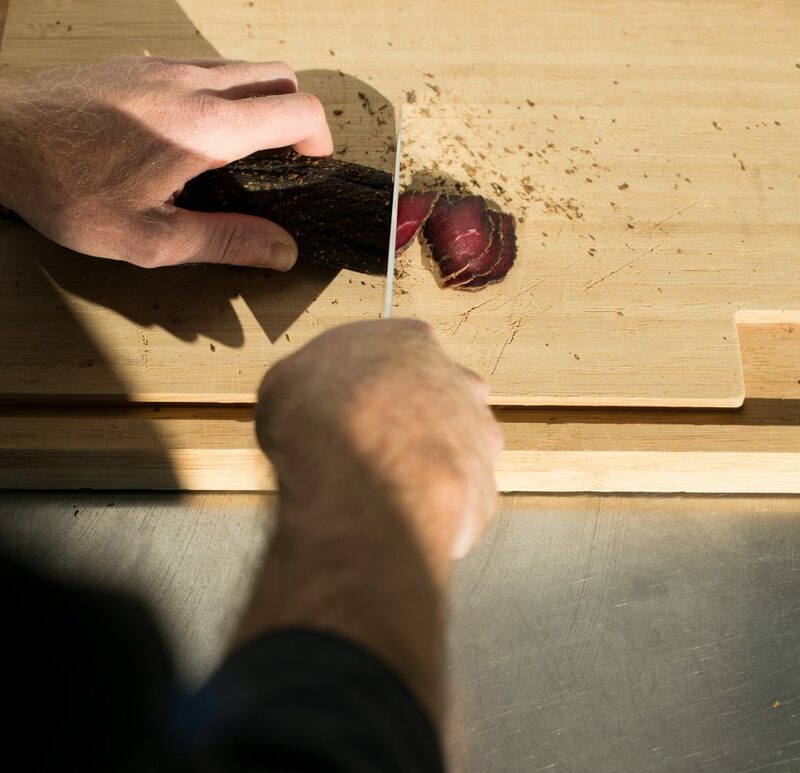 The word biltong originates from two Dutch words, “bil” and “tong”, bil meaning rump and tong meaning strip or tongue. 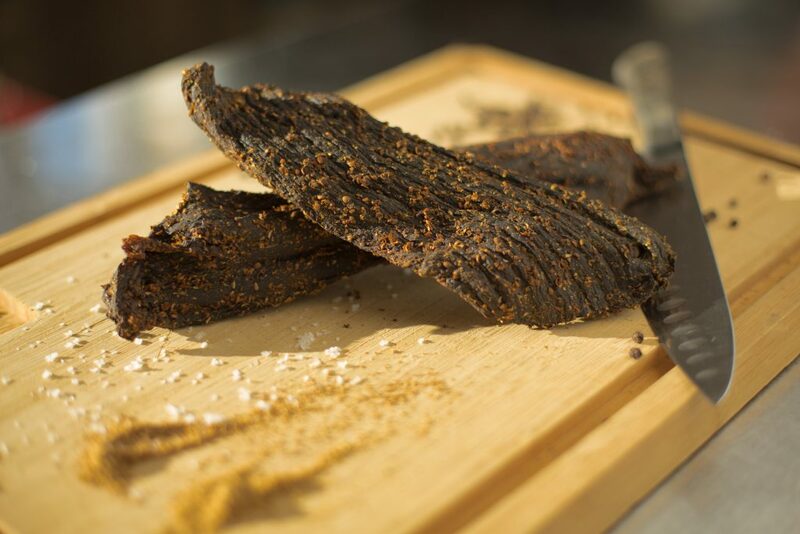 Biltong is a traditional dried and spiced meat product from South Africa. 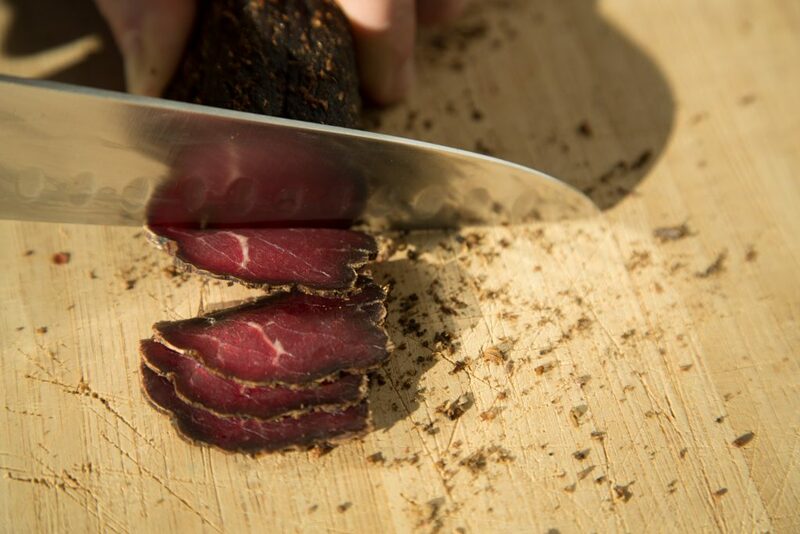 It can be made from various meats including beef, ostrich or wild game. 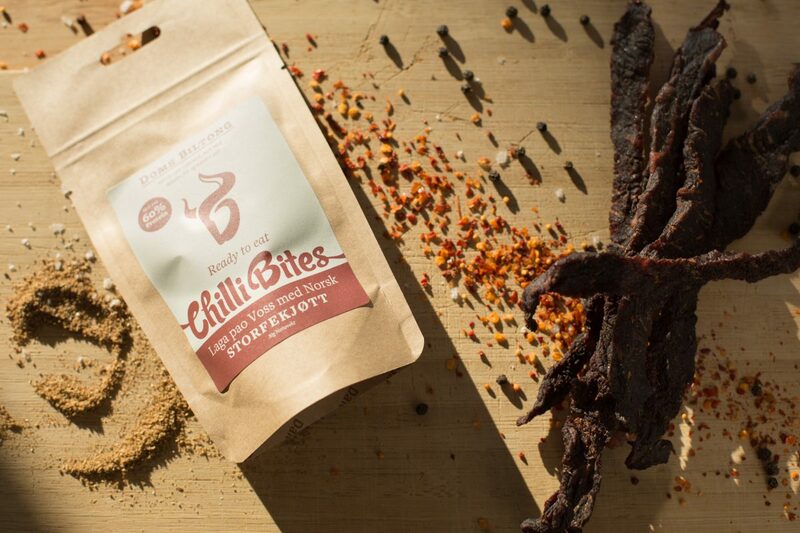 Doms Biltong only uses Norwegian beef. 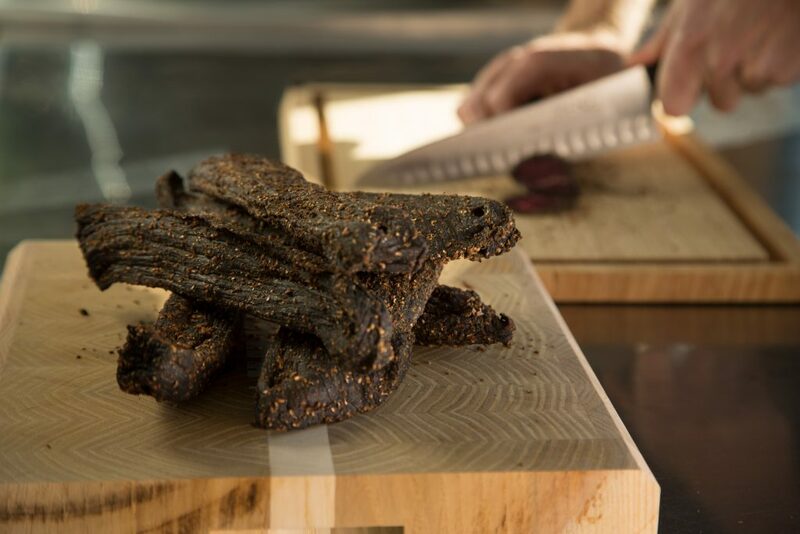 Enjoy it as a high protein snack or turmat any time of the day.